The Senshi prepare for one final outing in art from Sailor Stars’ soundtrack release. When the original Sailor Moon anime came over to the West, not all of it actually made the transition. The final season of the anime, broadcast in Japan under the subtitle Pretty Soldier Sailor Moon: Sailor Stars, never made it over in its original unedited form...until now, over two decades after it first broadcast. Announced over the weekend at Anime NYC (via Anime News Network), Viz Media confirmed it would be releasing the first half of Sailor Moon: Sailor Stars in early 2019 on Blu-ray and DVD as a continuation of the release of the new English dub that begun in 2014—marking the first time the Stars arc has had an official home release in the country. The fifth and final season of the original anime adaptation of Naoko Takeuchi’s iconic magical girl manga, Stars is split into two arcs. The first, a storyline original to the anime, sees Usagi and her fellow Senshi taking on Queen Nehelenia once again, but the majority of the 34 episodes adapt material from the manga. 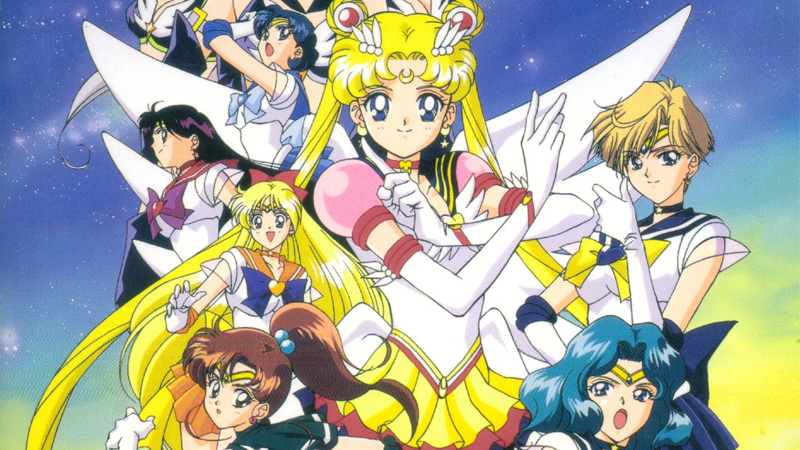 That arc features the Senshi teaming up with the Sailor Starlights—who, in the anime, were biologically male in their civilian forms, before transforming into women to become the Starlights—to battle the corrupted Sailor Galaxia in a quest to stop her Shadow Galactica organization from taking over the universe. You know, typical magical girl business. There’s fighting, kissing, jaunty opening songs, the whole Sailor Moon kit and caboodle. But at least now fans can own the final chapter of one of the most iconic anime series around in an official capacity. The first half of Sailor Moon: Sailor Stars is set for release in the spring of next year. Kinja Prism Power, Blog Up!